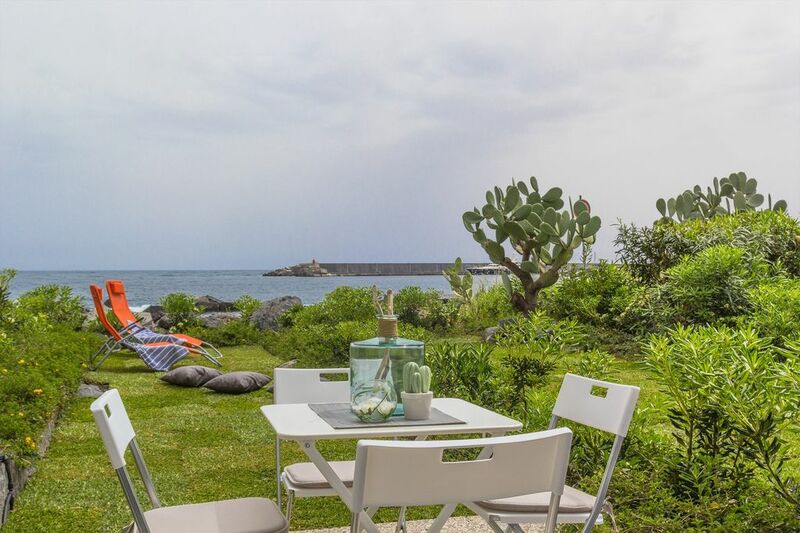 Les Suites is an apartment that overlooks the beautiful sea of ​​Riposto, an ancient seaside town and home to the Etna Tourist Port. Apartment 1 is a wonderful one bedroom apartment recently renovated with a modern and bright design. Composed of a double bedroom, living room with sea view, kitchen, dining area and a comfortable sofa bed, large bathroom and terrace with adjoining garden which leads directly to the sea. From the delightful garden you can enjoy a splendid view of Taormina and Calabria while relaxing with the sea breeze. Riposto anciently famous for the trade of wines Etnei is now a new tourist destination with interesting Art Nouveau architecture. What a beautiful spot in Riposto. Brand new, cosy and cleverly planned apartment with great facilities and superb shower. It is fun to hop through the rocks to get to the sea, which is in front of the apartment. Would definitely recommend it.